Robert Goldstein, president and chief operating officer of U.S.-based casino operator Las Vegas Sands Corp, says he expects casino licences in Japan to be awarded in 2020 at the earliest, if the broad regulatory framework for the establishment of a casino industry is passed by the country’s parliament this summer. The executive indicated additionally that the opening date for an initial casino resort or resorts might be pushed out to the year 2025. Japan’s parliament, a body known as the Diet, started discussing in the lower chamber last week the Integrated Resorts (IR) Implementation Bill, which details the specifics on how casinos are to be administered and regulated; the taxation regime to be applied to them; and the number of licences to be issue. “We are all waiting to see if the [IR Implementation] bill gets through this summer,” said Mr Goldstein. “If it [the bill] gets through, I think they [the Japan government] will form the gaming group in 2019, and have the decision on who gets a [casino] licence sometime in early 2020,” he added. The executive was speaking on Wednesday at an investor event called the 34th Annual Bernstein Strategic Decisions Conference, held in New York City, in the United States. Lawrence Ho Yau Lung, chairman and chief executive of Melco Resorts and Entertainment Ltd, another suitor for a Japan licence, said in a recent interview with business news television channel CNBC that the likely earliest bidding for Japan was “probably 2020 or 2021”. Mr Ho added it would probably take as much as two-thirds longer to build a large-scale Japanese resort as it had to build some Macau ones: “five or five-and-a-half years,” compared to “three-and-a-half to four years” in Macau, meaning the earliest a first Japan property could open would be 2025. The parliamentary membership of Japan’s two governing parties is considering extending the current session of the national legislature, buying time to pass the IR Implementation Bill. The current parliamentary session is set to end on June 20. According to GGRAsia’s Japan correspondent, the coalition parties are pondering extending the current session by about 20 days, into early July. The Committee on Cabinet of the House of Representatives – Japan’s lower parliamentary chamber – is expected to make a resolution on the casino bill next week, with a vote at a plenary session expected on June 7, said our correspondent. The bill will then move to the upper house – the House of Councillors – for further discussion and voting. In his Wednesday’s comments, Las Vegas Sands’ Mr Goldstein said additionally that the firm would be open to partner with a local company to bid for a licence in Japan. “If that’s a necessity, that will be the case,” said the COO. The executive stated however that the local market would be “pivotal” for Las Vegas Sands, if the company eventually wins a gaming licence in Japan. 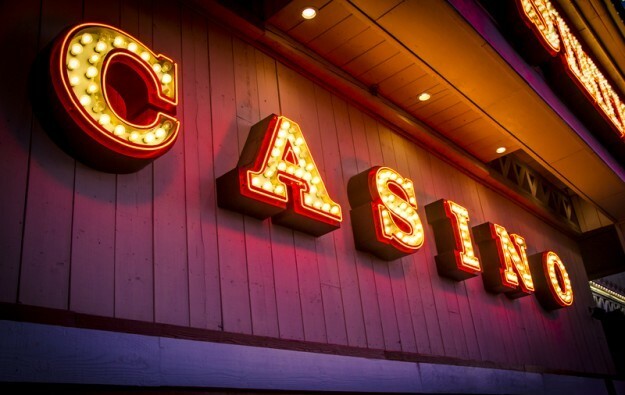 The IR Implementation Bill – as submitted to the Diet – proposes an initial cap of three casino resorts nationwide, and a fixed tax rate of 30 percent on any casino gross gaming revenue (GGR) generated by that country’s proposed gaming resorts. It sets a JPY6,000 (US$55) casino entry fee for locals for 24-hour access, and limits casino visits by Japanese to three times a week and 10 times per month in aggregate. In the interview with CNBC, Melco Resorts’ Mr Ho said additionally that the “payback” on the capital cost of a resort – he mentioned US$10 billion for Japan – was likely to take longer than in either the Macau market or Singapore. “Usually with these mega buildings the payback is probably three to five years and I think in Japan it’ll be longer,” the entrepreneur stated.